Speaking to reporters after a lengthy grilling by Republicans on Capitol Hill Monday afternoon, fired FBI Director James Comey dodged a question about whether he leaked classified information in order to launch Robert Mueller's Special Counsel investigation. He also attacked veteran journalist Catherine Herridge in the process. 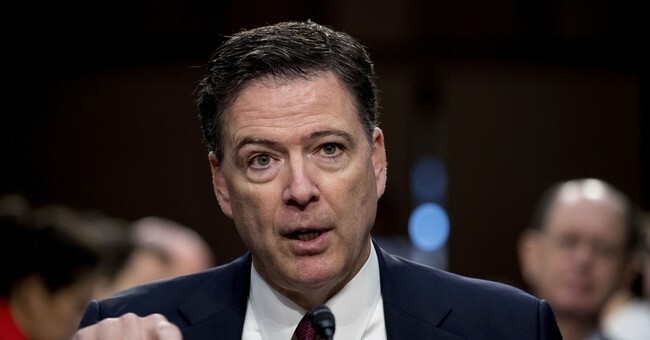 "I woke up in the middle of the night on Monday night, because it didn't dawn on me originally, that there might be corroboration for our conversations, might be a tape, my judgement was that I needed to get that out into the public square and so I asked a friend of mine to share the content of the memo with a reporter," Comey said. "I didn't do it myself for a variety of reasons, but asked him to, because I thought that it might prompt the appointment of a Special Counsel. I asked a close friend of mine to do that." Comey's admission prompted a number of legal questions about his handling of the memos and a number of Senators, both Republican and Democrat, sent Richman a letter asking him to turn them over to the Senate Judiciary Committee for evaluation.